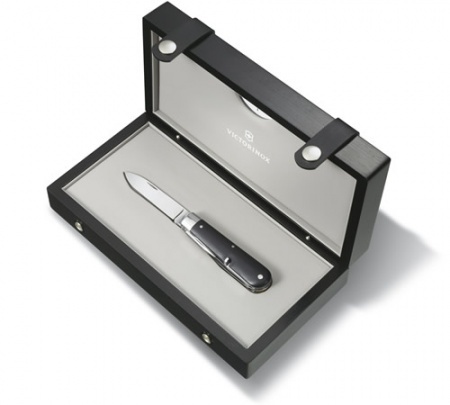 Victorinox Karl Elsener Soldier’s Knife | Definitive Touch - Men's Contemporary Style. Celebrating a 125 years in the business of creating world class knives and outdoor accessories, Victorinox has released a replica of the original Soldier’s knife. Named after founder, Karl Elsener, the knife comes complete with wooden handle, knife blade, screwdriver, can opener, and punch.